Isshin Ryu Karate was primarily spread to the U.S. by members of the armed forces stationed in Okinawa after WWII. Isshin Ryu founder Master Tatsuo Shimabuku welcomed anyone that was sincerely interested in learning his style of Karate. 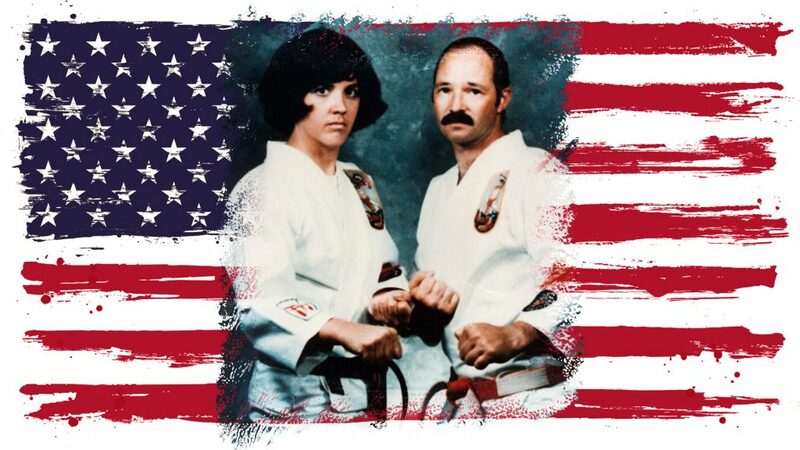 The Penn State Karate Club was fortunate to be generously helped by two such service members: decorated Vietnam Veteran Captain Stuart Dorow USMC and Major Carol Liskai USMC. Sensei Dorow was one of the first to earn the rank of 9th Dan – Hanshigo in Isshin Ryu, and Sensei Liskai was the first woman to achieve 8th Dan – Kiyoshigo in Isshin Ryu. Sensei Liskai has the additional distinction of being one of only two women known to train with Master Tatsuo Shimabuku and was the only woman to ever be promoted to 3rd Dan by Master Tatsuo Shimabuku himself. Master Shimabuku passed away May 30th, 1975. Sensei Dorow and Liskai passed away in 2000 and 2005, respectively. All students of our associated Karate clubs dedicate their continuing training to the memory of Sensei Dorow and Sensei Liskai. This entry was posted in Uncategorized on May 29, 2018 by Sensei Koszarsky.